Gazing out the window of a cramped bus and bumping the latest Drake album, Justus Sheffield reminisces about his journey thus far, as his next chapter is set to begin. It started back in Tullahoma, Tennessee, where Justus played football, basketball, and baseball growing up. Oddly enough, baseball was his least favorite of the three. Once he reached high school, however, and saw his older brother Jordan dominate on the diamond, it wasn’t long before Justus wanted to step up his game. “I never really fully liked baseball until 9th grade, I was always big on basketball, but I loved football more than anything,” he says. A southpaw who quickly realized his ability to throw 90+ MPH, college coaches realized the same, and letters poured in from the best schools in the country. The duo of Jordan and Justus, who are just 11 months apart, proved to be an unstoppable force at Tullahoma High. Such an unstoppable force that after a game where they hit back-to-back home runs, the papers made up a story that they were Gary Sheffield’s nephews. Perhaps as successful as Gary at the plate during their high school careers, both Jordan and Justus—along with big league scouts—knew that their ability on the pitcher’s mound was next level. Jordan committed to Vanderbilt and opted to go to school despite being drafted in the 13th round of the 2013 draft by the Red Sox. Justus had verbally committed there as well, but he had one more year left of high school and boy, did he make the most of it. Posting an 11-0 record to go with a 0.34 ERA, Sheffield racked up 131 Ks in just 61.2 innings pitched. He also threw two no hitters, and in one of them, struck out 17 opposing batters—ridiculous considering high school games only go 7 innings. At the dish, he hit for a slash line of .405/.478/.620 with three homers. 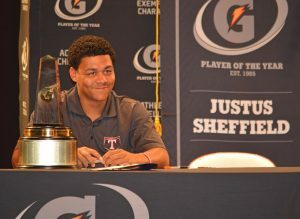 Humbled to win the Gatorade Player of the Year award, Justus faced a big decision most high school phenoms have to make. 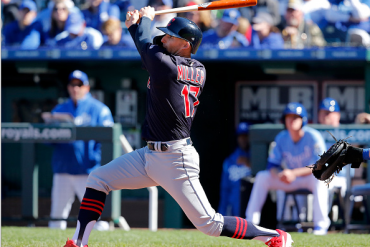 On draft day in June of 2014, he was selected by the Cleveland Indians with the 31st overall pick in the draft. Instead of joining Jordan at Vandy and outdoing the competition like they did in high school, Justus opted to start on the road to the show at age 18. “It was definitely a tough decision, but I feel like I made the right choice in the long run,” he says. 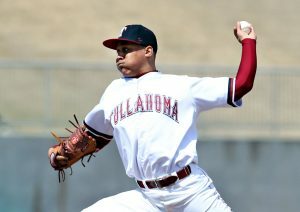 After spending two seasons in the Cleveland Indians’ farm system, Sheffield worked his way from rookie ball to Advanced-A ball. Things were going well for Justus, who posted a 3.31 ERA in 127 innings during his first full professional season in single-A. His lethal repertoire of a mid 90s fastball, deceitful low 80s changeup, and a devastating slider that many mistake for a curve—Justus continued to catch the eyes of scouts and climb the minor league ranks. Beginning 2016 at Advanced-A ball with the Lynchburg Hillcats, Sheff would log 19 starts, going 7-5 with another impressive 3.59 ERA in 95 innings pitched. At age 19, he was also an average of two and a half years younger than the rest of his competition. However, that played no factor in his consistency on the mound and by the time the trade deadline rolled around during the 2016 season, his name was being thrown around. 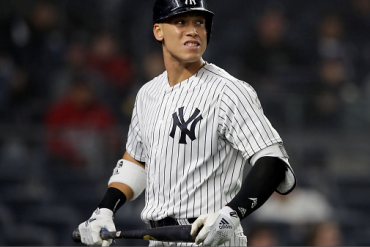 Amidst rumors and speculation, Justus admits he had to remind himself to continue to stick to his routine and prepare for the next time he had to take the ball. On July 25th, 2016, Sheffield took the bump and little did he know, it would be his last start in the Cleveland Indians organization. 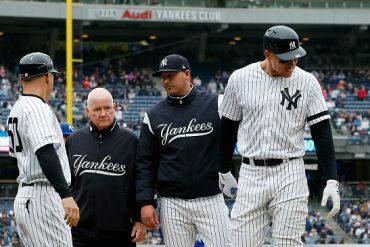 Uncharacteristically, as the July 31st deadline drew closer, the Yankees were selling off their two most coveted bullpen pieces: Andrew Miller and Aroldis Chapman. However, Justus never expected to be shipped off to New York. The trade sent Justus, Clint Frazier, Ben Heller, and J.P. Feyereisen in exchange for Andrew Miller to solidify Cleveland’s ‘pen for the stretch run. 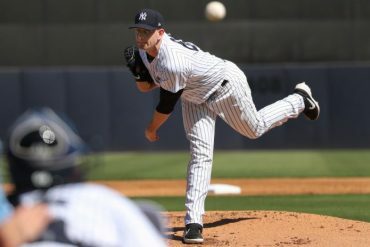 The Yankees sent Sheffield to Advanced-A ball to play with the Tampa Yankees. Making five starts, he went 3-1 with a 1.73 ERA in 26 innings and 27 Ks. By season’s end a few weeks later, he found himself in Double-A ball at just 20-years-old. Perhaps the best part about the promotion to Double-A: the buses have outlets. Throwing four shutout innings for the Trenton Thunder, Justus finished out the season on a high note. Fast forward to spring training the next season, where Justus has a month to play with big leaguers and most importantly—learn from their experience. 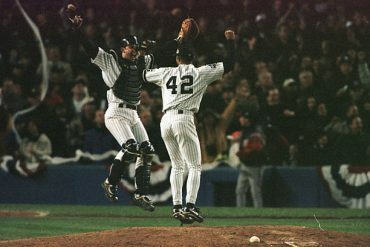 Not wasting any time, he seizes the opportunity and befriends CC Sabathia, someone who Justus has a lot in common with. Sheff’s game particularly resembles CC’s on how they go about attacking hitters. Especially when CC was younger, he was a power guy with one of the better changeups in the league, as well as a slider to go with it. At the young age of 20 last spring, he also uses his hard fastball to get ahead of hitters and setup that nasty slider of his when he needs a strikeout. Another left-hander he tries to emulate? David Price, who he watched while growing up playing at Vanderbilt. Picking the brain of seasoned big leaguers and emulating their routines enabled Justus to not only get more comfortable, but establish relationships for the future. Spring training comes to a close and it’s early April. The Double-A Trenton Thunder are en route to Lake Erie, where snow is in the forecast for the day Justus is supposed to make his start. With roughly five hours remaining on what seems like his 900th bus trip, Sheff plays cards with a plethora of other top-flight Yankee prospects to pass time: Gleyber Torres, Miguel Andujar, Billy McKinney, Chance Adams, and Dillon Tate—to name a few. The first two games at Erie get snowed-out, which pushes Justus’ first start of the year back to Akron later on in the week. Trenton gets off to a slow start out of the gate going 2-3, as they hop on another 3-hour bus ride down to Ohio, where Sheff will get the ball. A situation that could make anybody go stir crazy, Justus was cool, calm, and collected. Despite the brisk 60 degree weather, he tossed 5.2 innings without giving up an earned run and striking out six. Throwing an efficient 86 pitches that day en route to a much-needed victory, this game set the tone for Sheff the rest of the 2017 season. In 93 innings of work and 17 starts, he remained a model of consistency. Posting a 3.18 ERA with 82 Ks and a 46.2% groundball percentage, he further exemplified his ability to get outs and be persistent. The Trenton Thunder finished atop the Eastern League with a 92-48 record, and the role Justus played earned him a shot in the Arizona Fall League to compete against the best prospects in baseball. Suiting up for the Scottsdale Scorpions, Sheffield impressed scouts yet again. With the development of secondary pitches, including his changeup, his maturation as a pitcher showed in the stat column. “He doesn’t have to trick you to have success, he’s got terrific secondary to get guys out in many, many different ways. What I like best about him is his composure on the mound, there’s never a situation in my mind where he’s beat,” said his Arizona Fall League manager, Jay Bell. In five starts and 20.1 innings for the Scorpions, Sheff struck out 22, posted a 3.10 ERA, and displayed his “attack mode” mentality with a 0.84 WHIP. The aggressive approach Justus takes to get hitters out is what got him this far, and also what makes him so unique. “He’s like a closer that starts,” said AFL teammate Cody Carroll on his combative style on the mound. For big league scouts, teammates, and coaches alike; Justus’ will to win and give everything he has every time he takes the bump is what makes him one of a kind. Sheff has all the intangible qualities that prospects who make the big leagues possess. 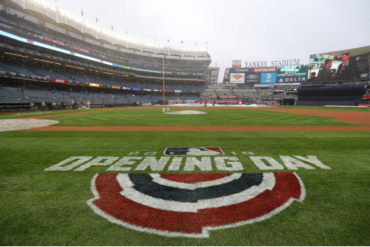 This coming spring training he will set a goal for himself, one that is sure to entail a debut in Yankee Stadium in 2018. Until then, he will have to continue riding the bus and grinding. The 21-year-old might see the opportunity to pitch at Triple-A Scranton this season and be one step away from the show. Sheff’s natural ability to show that he’s fearless and poised dates back to the days where baseball wasn’t interesting for him. Every time he’s out there he pitches like he’s having fun, and given his competitive nature—you can bet he’ll do everything he can to not let you take that fun away. 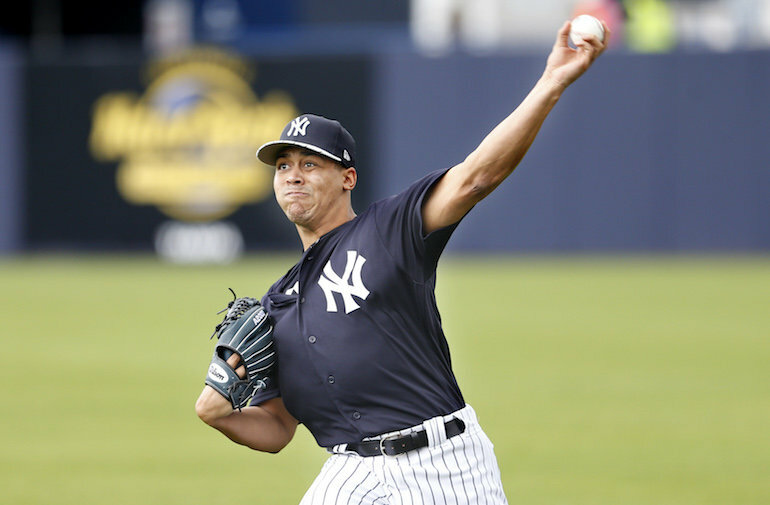 Throwing every pitch like he’s one away from being called up is what has gotten Justus this far, and what could guarantee the final destination on his bus ride to be at 161st in the Bronx.